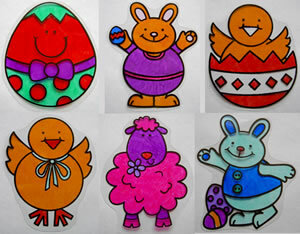 Fridge magnets come in lots of designs (the ones above are from the Easter collection). There are butterflies, cats, dogs and many more. They are transparent and preprinted so only need to be coloured in. A magnet is then applied to the back and they are ready to be placed on the fridge.